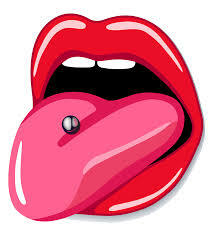 Tommy O's Blog: I want to Get My Tongue Pierced! We live in a culture in which tattooing, piercing, and body modification have been the rage. Rarely will you find someone who doesn’t have something from one of these three areas. And there seems to be no area on the human body (exterior or interior) that is off limits for tattooing, piercing, and body modification. Body modification is a completely strange concept that I have a hard time wrapping my mind around. It is the deliberate altering of the human anatomy or physical appearance. No thanks; I have enough scars and alteration on my body from surgeries that were done to repair my broken body. My question to those who are thinking of doing this is what happens when you turn forty and no longer feel that it is appropriate to have horns coming out of your head when you walk your daughter down the aisle? And because each week my body gets new color in the form of bruises and bumps from playing hockey and from working in my shop or helping someone with a building project, any permanent ink that I would get would compete with my newest bruise! Also, as a pastor, I don’t want to lead anyone astray or cause them to stumble because of something that I did to my body. At this point, I feel the need to confess that I do have one tattoo. Actually, it is graphite from a pencil that is in my arm from the time in fifth grade when someone accidentally stabbed me. 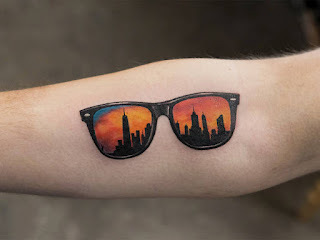 Still, it is “permanent ink”. 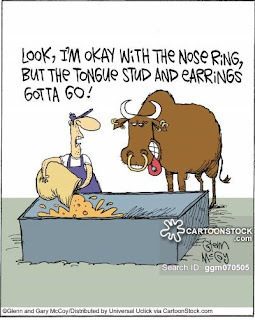 Lately I have been pondering the idea of getting some piercing; specifically in my tongue. I think that this would actually make me a better person and pastor. It is something that I have been working on getting done. No, I’m not talking about installing some sort of metal in my mouth. If I did, I would probably fixate on the piercing all day like I do when I get a piece of popcorn hull stuck in my teeth! Nor am I thinking of intentionally causing my mouth to get some holes and to bleed. I seem to do that regularly enough when I accidentally bite my tongue or cheek. What I am referring to is my speech. I have been reading devotionals in an attempt to work on how I use my words to either build up or to tear down. I’m talking about doing something to stop the destruction caused by careless words, gossip, criticism, sarcasm, etc. As I have been meditating on scriptures pertaining to the tongue, I realize that I have habits and patterns of speaking that don’t reflect who I really want to be; one who reflects the love of Christ to whomever I meet. I want to be one who uses my words to speak life and encouragement and hope into those who need it…and that includes all of us! 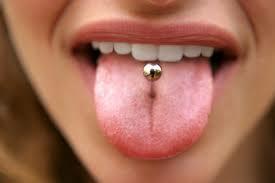 Simply put; I need to get my tongue pierced. Again, I am not talking about literally even though that would probably be much easier! Some would advise to just “bite your tongue” in an effort to not say everything that comes to mind. But I have found that all I get from doing that is a mouth full of cuts and bruises; none of which change my habits! 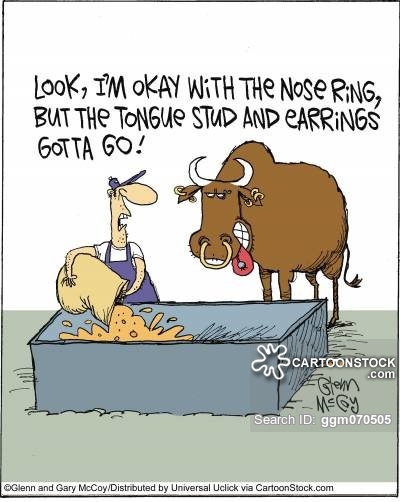 In fact, the taming of the tongue is harder that we want to admit; which is probably why so many don’t even try to have a filter on what comes out of their mouths. At first that can seem discouraging; but that is only because I am looking to myself to do the piercing. That passage says; “no man”. I need the Holy Spirit to do the piercing. He alone knows how to do it. 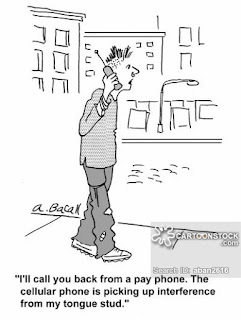 I simply cooperate with what He is doing and repent when I get off course. He alone does a piercing of the tongue that can change how we speak. He alone can stop even the harsh words that we say about ourselves. The good news is that He wants to bring the change. Our response is to ask Him.